My background is in educational technology. I had worked for both large ed tech firms and startups and realized that while I loved the nimbleness of a startup, I also loved the experience that a big box brand provided. So, when one of my former colleagues recommended Striata as a perfect blend of an entrepreneur-like culture with the stability of a long time brand, well I just had to learn more. Once I met the COO and CEO, it was all history and I made the leap from ed tech to the CCM space. In my comparatively short tenure, Striata has gone from a little known entity to a rival amongst the CCM players. Analysts want to know what Striata is offering each year and we continue to impress with our client portfolio and implementations. While there is much consolidation in the CCM market, Striata continues to be the best in class solution for secure digital communications. Striata only hires the cream of the crop talent. Each person is intelligent, hardworking, and committed to the team goal. The culture thrives on this and as a result, spurs collaboration and innovation. It is truly an amazing company to work for. Being surrounded by those who truly care about the industry, are passionate about driving digital communications into the future, and never say “that’s not in my job description”. What’s your personal split between bills by mail and electronic bills? All of my bills are electronic with the exception of my valet parking spot, which has no bill, just a friendly reminder from the valet attendant on the first of the month. How often do you log into a website to view your personal documents? I rarely log into a portal to view my documents. The only one that comes to mind is my auto insurance when I need to present my current proof of insurance. Other than this, during tax time when I am looking for financial documents to present to my accountant – that’s when I am scrambling to remember passwords to login to my online accounts. How many bills per month do you pay through an electronic payment (ePayment) method? All but one. My valet parking spot is cash or check only. Since I do not have any physical checks, I have to go to the ATM and withdraw cash each month. A willingness to change is almost more important than becoming an expert in the present. The world changes constantly and holding onto the past will only leave you frustrated and behind the curve. Instead, ride the crest of the digital wave. Keep it simple! UX designers create things to be user friendly. I still somehow over think and take a tad longer to learn how to use new apps. How have you embraced technology at home? We have embraced the IoT with a connected home that controls our thermostat, surround sound, window shades, lighting, TV, and nanny cam – all from a convenient mobile app. I can be halfway across the world and close my shades so the sun doesn’t raise the temperature inside the house. Amazon Alexa helps us order diapers when we are running low, or anything else that we need. And our new car has Apple CarPlay, providing a seamless experience of having Siri play my music, read my text messages, dial contacts and get me directions for where I need to go. 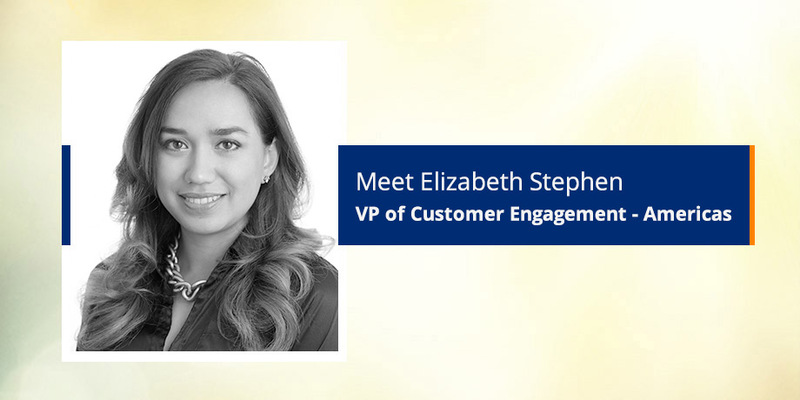 Elizabeth Stephen is the VP of Customer Engagement for the Americas, overseeing all commercial business and channel management in North and South America. For more than a decade, Liz has managed teams of sales groups both nationally and internationally. She has a true passion for helping customers identify their needs and consulting with them to help fill those needs. Since joining Striata, Liz has taken a keen interest in Customer Communications Management (CCM) and helping clients utilize digital communications to enhance the overall customer experience. 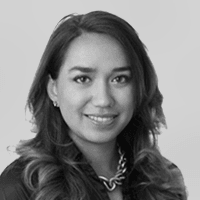 Liz is Chilean and holds both undergraduate and graduate degrees from the University of Miami.